Duggan touts Detroit bus improvements, but says "we've got a long way to go"
Mayor Mike Duggan talks to new DDOT bus drivers. 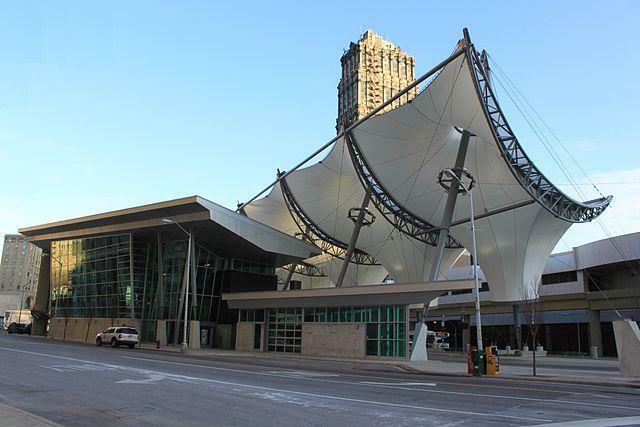 Detroit bus service is improving — but still has a long way to go. That’s the message Detroit Mayor Mike Duggan carried to a group of 27 new city bus drivers Friday. The Detroit Department of Transportation is hiring and training more than 100 drivers, and has added 30 mechanics. It’s also gained 80 new buses, bringing its total fleet to 192 buses. Now, Duggan says the city can focus on providing more reliable, on-time service, and expanding the number of bus routes. DDOT service has been cut back drastically in recent years, leaving many commuters stranded and others with regular, hours-long waits at bus stops. “We now have enough people and enough equipment to make schedule, which is the first time in many years that’s been the case,” Duggan said. Megan Owens, executive director of the transit advocacy group Transportation Riders United, says it’s true DDOT has gotten “far better” in the past few months. “The question is, can they maintain that, especially once the winter comes?” Owens says, adding that wait times are still a significant problem on some routes. Duggan says that to move forward, Detroit needs help from the state in the form of more mass transit money. He hopes that comes out of Lansing with a new roads funding package. “The governor and I are on the same page, and we’re lobbying heavily to get it done,” said Duggan, noting he hopes that gets done in the next month. In a quick pep talk and question session with the new drivers, Duggan said he’ll also lobby for them to get a raise. He plans to take that issue up with the state-run Financial Review Commission, which is monitoring Detroit’s books post-bankruptcy, next week. Drivers start out making $11.38 an hour. Duggan said that if DDOT gains ridership and revenue increases, drivers should also get a share of that. The bus system served 600,000 riders last week. New driver Frank Jackson thinks there’s room for advancement at DDOT. He’s happy to have landed the job, after spending much of the past 30 years in and out of prison for drug offenses. “Detroit’s back,” Vice President Joe Biden shouted at the audience in a city bus depot today. Sounding like the presidential candidate he insists he is not (yet), Biden touted federal and local efforts to help Detroit rebound. 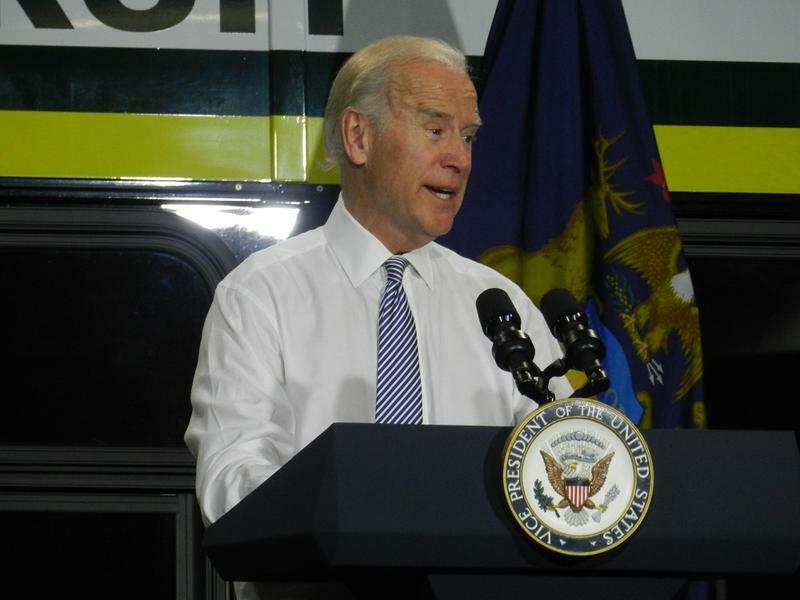 Biden was in Detroit to formally announce a milestone in the city’s bus service. The U.S. Department of Transportation is awarding the city of Detroit $26 million to buy 50 new buses. Long wait times and broken-down buses have been a problem in the city, as it's struggled to keep its aging fleet in working order. "Like any good triage, you've got to tackle the biggest things first," Megan Owens said. Owens is executive director of Transportation Riders United, a non-profit that aims to improve public transportation in downtown Detroit. "The biggest things are having enough working buses, and having enough people to drive them."